Save cash by booking a Potpican travel package. Just pick your favorite options and let Expedia do the rest. As much as C$590* can be saved when you book a package deal on Expedia. With more than 400 partner airlines and 321,000 properties to choose from on our global database, you won't have any problems designing your perfect vacation. Still undecided? You won't pay us a cancellation fee if you change almost any reservation. Nearly ready to take off on your Potpican vacation? Haven't got a clue what things to include in your travel itinerary? No need to fret — we're here to give you a few of our recommendations. Breathe in the fresh air and observe fascinating seabirds flit through the sky at Rabac Beach. An afternoon spent by the water's edge is always good for your health. Travelers are spoilt for choice close by. Kite flying by the seaside is something the whole family can enjoy. If it's windy, why not try to launch one at Medveja Beach? Still got some time to spare? Wander along by the water at Lovran Harbour and find out how many types of boats you can name. 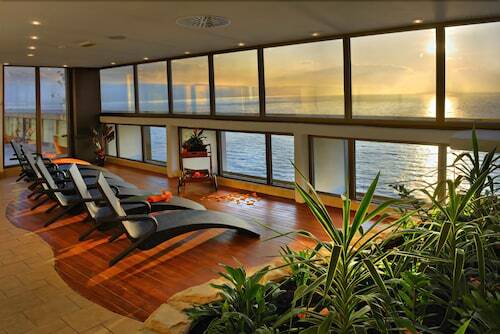 Boasting stunning sea views, it's a popular location for those who love sailing. As Potpican doesn't have any properties listed on Expedia, you might find it convenient to stay at the Villa Stefanija (Puntera 8d) or the Hotel & Casa Valamar Sanfior (Lanterna 2), two more upscale options located 4 miles (6 km) away in Sveta Nedelja. The Girandella Tourist Village (Slobode 84) and the Hotel Marina (Mediteranska 3) are another two well-regarded places that won't cost you an arm and a leg. Nothing's more satisfying than finally landing at Pula Airport (PUY) after being stuck in a cramped cabin for hours. Once you've picked up your suitcases from the carousel and shaken out those stiff legs, you'll be around 20 miles (32 km) from the bustling main streets of Potpican. 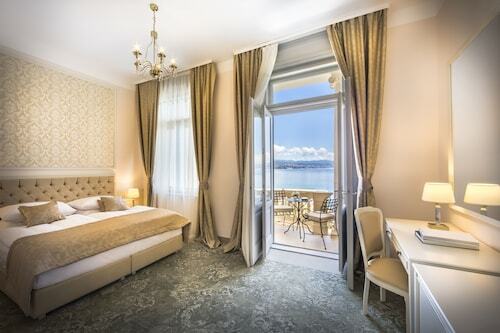 This family-friendly Lovran hotel is located on the boardwalk, within a 10-minute walk of Lovran Old Town and Kvarner Gulf. Lovran Harbour and Medveja Beach are also within 3 mi (5 km). 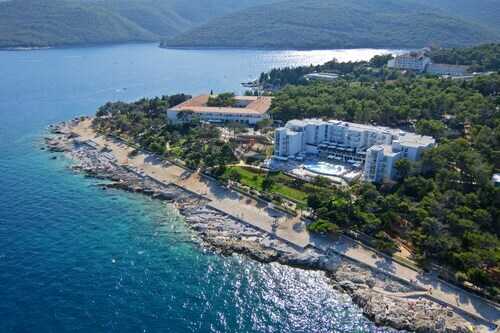 Nestled on the beach, this Rabac hotel is just steps from Girandella Beach and Kvarner Gulf. Rabac Beach is 1.8 mi (2.9 km) away. 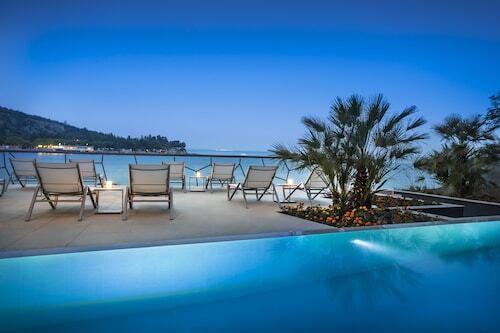 Situated in Opatija, this spa hotel is within 1 mi (2 km) of Casino Rosalia and Kvarner Gulf. Park Angiolina and Port of Opatija are also within 2 mi (3 km). 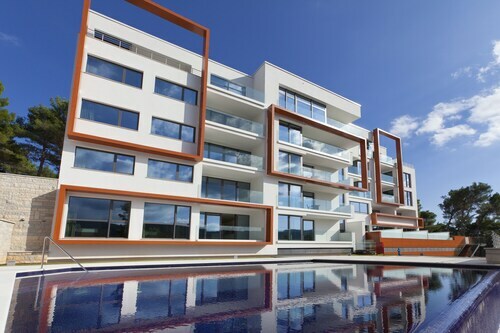 Located in the heart of Rabac, this luxury apartment building is within a 10-minute walk of Rabac Ferry Port, Kvarner Gulf, and Girandella Beach. Rabac Beach and Church of St Anton are also within 32 mi (52 km). Wed., 4 Dec. - Wed., 8 Jan.